The Fiji of coups and chaos is no more. 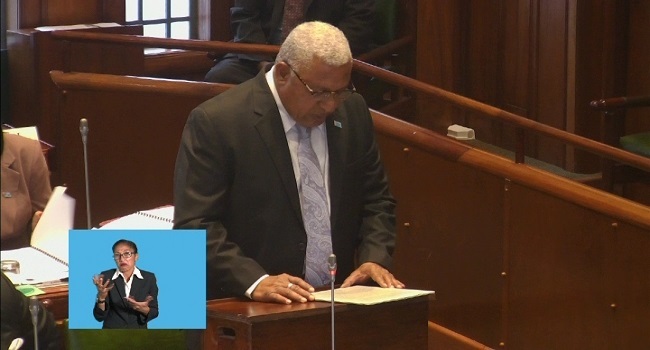 While delivering his maiden speech in parliament this morning, Prime Minister Voreqe Bainimarama says today Fiji is about stability, equality and endurance which will mostly benefit generations to come. Bainimarama challenged MPs in the chamber to recognize that false fear mongering about land laws tears countries apart, limits economic potential and pulls the people down. He says no one can take this country forward the way they do. Bainimarama says he is proud to lead this country again and as it shows that Fijians have put their trust in him. He says they current services provided by government are expected to expand. The Prime Minister also took time out to welcome women represented in parliament and also his wife Mary who he says has been his rock since he came to government.